2016 is being great, but gone, now we should start focusing on the future. Catching up to Google is not an easy job. First Penguin, then Hummingbird and now RankBrain – Google’s on an unstoppable charge. But hopefully, with the right amount of planning in right time we can come up with new search engine optimization strategy. AMPs (open-source protocol) allows webmasters to create new pages that are capable to load instantly on mobile devices. The simple, small changes can make your site load up to 4 times faster and use 8 times less data. Already, Google is starting a new sites that have switched to Accelerate Mobile Pages, giving them small icon and increases visibility. People are getting bored of reading the same old content again and again, in different words. Early content marketing was focused on producing as much long content as possible. But as the market’s been flooded with new types of content, New trend ignores length, content and focuses on providing as more information as possible in the smallest possible space. Google RankBrain was released the previous year. The extension of Google Hummingbird functions gradually helps to learn more about how users phrase conversational queries and updates algorithm automatically. Google is releasing more machine learning updates in 2017, we may even see machine learning in other areas, such as marketing automation and data interpretation as well. Personal branding is a good strategy for SEO in previous years. With a personal brand, it’s easier for driving more traffic to a website, building user trust and securing guest posts. Social media platforms like Facebook, twitter continues refining their algorithms to segregate individual posts over branded posts, nowadays more organizations and companies take advantage of personal branding. This will simultaneously lead to more competition and more opportunities and companies should make sure their strategy is in order. 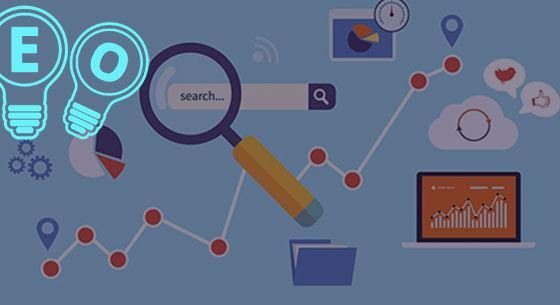 UEO (User experience Optimization) plays an important role in SEO. Mobile devices are always properly optimized by Google sites, so that they load quickly without any prolonged time on page and users should enjoy the experience. But in 2017, we may see an increased importance on the user experience, especially for mobile devices. The SEO industry is always moving, so it is necessary to be aware of new evolution’s. It looks like 2017 will be an interesting year for SEO, the above trends dominates the area.